How many sports picks do you release each day? We normally release 4-6 plays each day using our proven HIGH ROLLER rating system(posted for our members in the members section). We typically release A typical day will see us give out three 200* plays, two 100* plays, and a 75* play. All of our picks are posted in our members area online by 12PM EST. During football season, saturday's college football picks are posted by 9:30 AM EST saturday morning and sunday's NFL picks are posted by 9:30 AM EST sunday morning. However, plays mayt be available earlier by email request so you can get your plays in early before gameday line moves. NOTE: On some days when information needs to VERIFIED we will not be able to post the plays at our stated posting times. We do NOT rush plays and we need to verify our information to allow us the oppurtunity to have a better chance at winning the plays that day. Your understanding will be needed on those days as we unfortunately will not meet the stated posting times on EVERY day throughout the season. Do I get all of SportsAction365.com's plays included in my membership? Yes! Your membership includes ALL of our releases for the entire duration of the membership plan you sign up for. Please note we sell a HIGH ROLLER PACKAGE(200*-100*-75* plays) and a LATE INFO VIP PLAYS package. You will have to signup for BOTH to get ALL the plays daily. Can I call for the plays or access them offline? Yes. You can always call our office toll-free at 1-866-222-8848 to access your plays over the phone for free. If you have a Blackberry or would like the plays emailed to you we can also accomodate you by that method. Can I purchase picks anytime during the day? Yes, you can signup on our website 24 hours a day, 7 days a week, 365 days a year. Our payment system is fully automated and you will have access to our members area immediately after your successful payment. After payment, you will be taken to a page where you will setup your own username and password to login. If you signup after the start of our top-rated 200* play, than we will simply begin your membership the next day so that you do not miss out on any 200* plays during your membership. I cannot pay online. Can I pay by check or other methods? Yes. We prefer that you signup online thru our paypal and clickbank(credit card/online check) payment methods, but we do accept money orders, money gram, western union, and cash, if necessary. However, we cannot give access to our members area until we receive your payment. Thus, it is much easier and faster to pay online. What lines do you give out with your plays? We check out a variety of offshore and vegas books for the best available odds. The line we post with our picks is the current line at the time we post it and is available at at least one of the sportsbooks we recommend offshore. We strongly encourage our clients to play the best lines possible, as playing the best lines daily can add a lot to your overall profit over the long haul. We have a list of regulated, safe, and secure offshore sportsbooks that we have complete confidence in recommending to you. 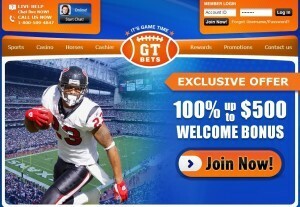 We do not endorse any illegal gambling activity at SportsAction365.com, so please check your local, state, and federal laws if you are not sure about the rules and regulations in your city/state/country. Our winning percentage in football and basketball has consistently over 65% on all of our picks. Our top-rated LATE INFO VIP releases are the best plays we release and typically connect over 78% of the time in basketball and football. Our baseball and hockey winning percentages are not quite as high, only because we play a lot of underdogs. It is better to win 65% in baseball on a vast majority of underdog picks, rather than winning 70% on all heavy favorites. The payoff on underdogs delivers a bigger overall profit. PLEASE NOTE: These percentages are based on PAST PERFORMANCE and is not guaranteed. Past results do NOT guarantee future success. We do NOT guarantee a set winning percentage on any membership. How do you come up with your plays? Our plays are derived from a number of sources and handicapping methods, including statistical research, state-of-the-art computer systems, power rating indexes, line movements, and wiseguy action. However, we are best known for our access to key information. When it comes to contacts and sources throughout the sports world, we are the standard that all other handicappers and services try to emulate and be. Thanks to our many friends and well respected national reputation, we often are the first service to find out about unreported injuries, internal team rifts, coaching gameplans, practice reports, off the court issues, weather situations, etc... Due to our relationships with player agents, beat reporters, college boosters, vegas linesmakers, vegas sportsbook managers, wiseguys, and sports betting syndicates, we have access to information that the general public simply cannot obtain. Obtaining as much KEY WINNING INFORMATION possible is the key to being successful at legal sports wagering. And, we at SportsAction365.com have more contacts and sources than anyone else in the industry. What sports do you handicap the best? We handicap all sports well and we'll put our picks up against any other service in the country. We produce winners in all sports that we handicap. However, without a doubt, we are the #1 Football, Basketball, and Baseball Handicapping Service in the country. Our contacts and knowledge in college and pro football, college and pro basketball, and major league baseball is second to none. We have built our reputation on our outstanding and award winning football, basketball, and baseball handicapping service plays. Interested in joining the #1 Sports Handicapping Service in the Nation? View all of our sports picks packages online, including today's HUGE 100* GUARANTEED WINNER from Frank "BIG MONEY" Santilli!